At 50 years old, my Testosterone levels are perfectly healthy, without the use of synthetic or bio-identical testosterone products. Calcium D-Glucarate by NOW was recommend by the "Bulletproof Executive"
Promotes Breast and Prostate Health! 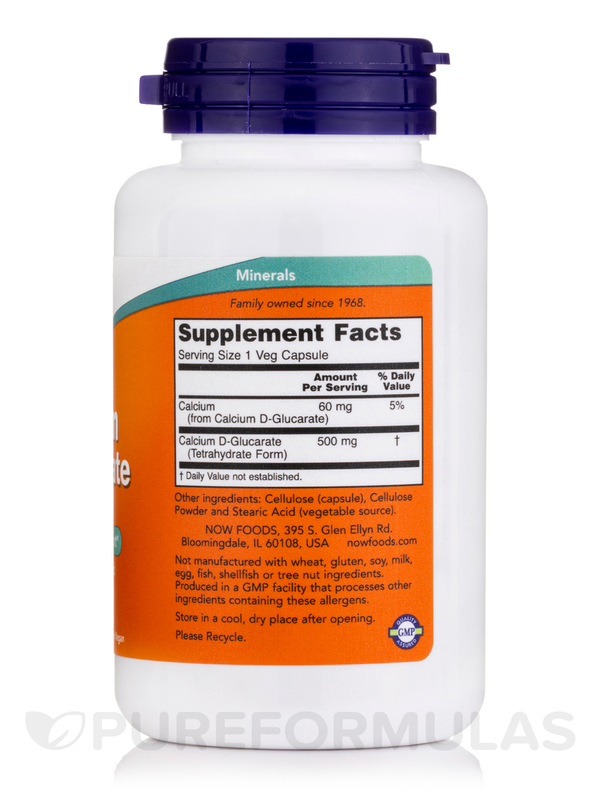 Calcium D-Glucarate is the calcium form of D-glucaric acid‚ a substance produced naturally in small amounts in the body. Glucaric acid is also found in many fruits and vegetables. Scientific studies have found that Calcium D-Glucarate can facilitate complete detoxification and elimination of certain metabolic waste products and environmental compounds from the body. 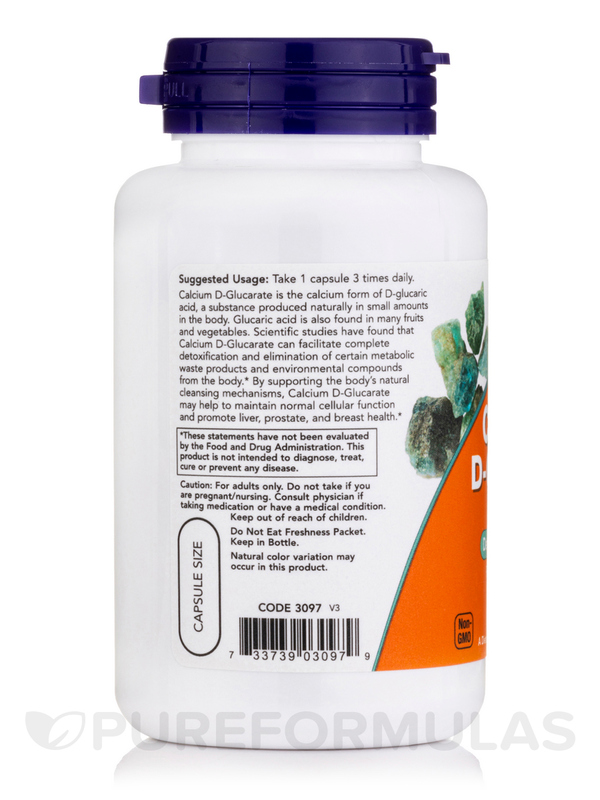 By supporting the body’s natural cleansing mechanisms‚ Calcium D-Glucarate may help to maintain normal cellular function and promote liver‚ prostate‚ and breast health. 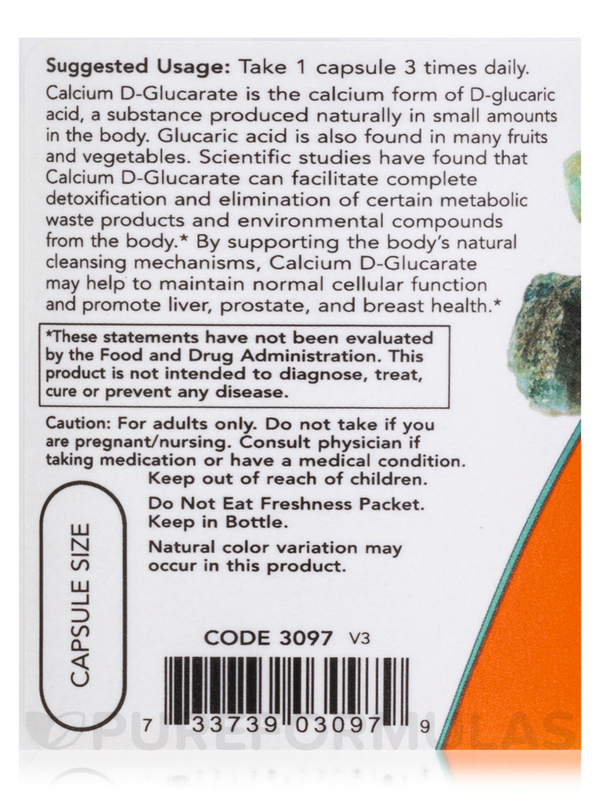 Other Ingredients: Cellulose (capsule)‚ cellulose powder and stearic acid (vegetable source). For adults only. Do not take if you are pregnant/nursing. Consult physician if taking medication or have a medical condition. Keep out of reach of children. Do not eat freshness packet. Keep in bottle. Store in a cool‚ dry place after opening. 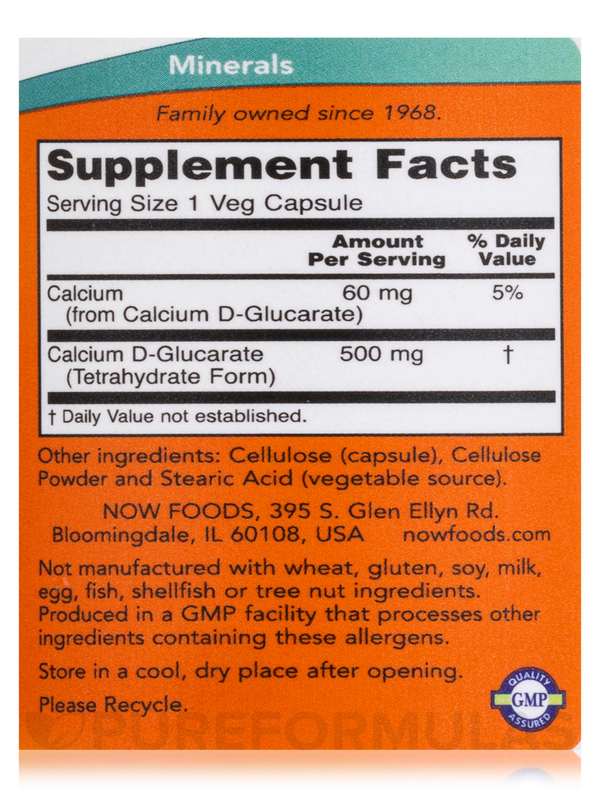 Calcium D-Glucarate 500 mg by NOW is of top quality for mitigation of hormone imbalances. Specifically, estrogen dominance. 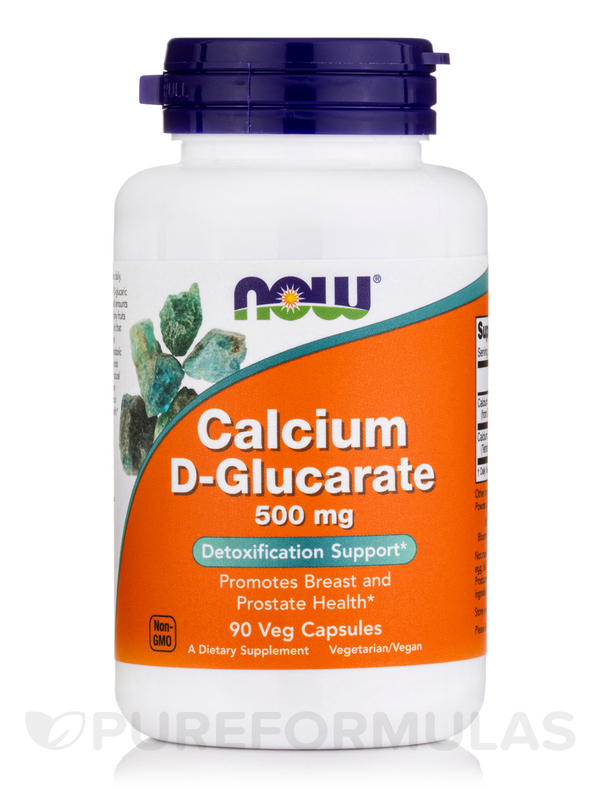 Calcium D Glucarate is a companion to DIM and "NOW" is a brand I have trusted for years. Excellent pricing here at PureFormulas . Calcium D Glucarate by NOW helps rid body of excess bad estrogen and other toxins. This Now brand is effective and a good price.